Welcome to a free Online English learning focus funded by Pronounce Pro Plus and the Online English Hub. Within these folders are articles written to help you learn English Online. Authored by Masters level ESL/EFL teachers and PhD TESOL instructors, you will find here only the highest quality of writing and quality level of instructional English materials. Select a category and explore our catalog of Online English learning articles twenty four hours a day seven days a week. Please visit our sponsor’s websites, they fund these resources for us all. 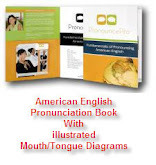 Pronounce Pro creates an American English pronunciation DVD and full method. The Online English Hub is a powerful free resource site for learning English online. We appreciate Pronounce Pro and its Online English hub making these resources available for posting and free access learning. We can all show our gratitude by spending a few moments on their websites. Both sites offer resources that facilitate your learning English. Dive in and make good use of our articles. We wish peace, tranquility, fulfillment, and prosperity in your life. Article to help English Speaking and English Pronunciation by Pronounce Pro American English Pronunciation Writing Staff. Do you need a break from all the hard work you’ve been putting into learning English? Try these tongue twisters to give your tongue and pronunciation a workout. Don’t worry if you have trouble with these sentences: you’re supposed to. Even native English speakers find the pronunciation of tongue twisters a challenge. So don’t take these language games too seriously. If you find yourself laughing, that great! You might not even notice how much good pronunciation practice you are getting! Here are just a few tongue twisters to start worth, but there are many more. You can even make up your own. Choose a sound you want to practice, and make up sentences using as many words as you can with that sound. Then challenge yourself and your friends to repeat the sentence 5 times without a mistake! Many languages utilize some type of assimilation – a change in a certain sound based on the sounds that come before or after it. One example of this is the difference in plural -s in "cats" versus "dogs". Pronounce each word while touching your throat. You should be able to feel that your vocal cords do not vibrate for the final -s in "cats", but they do vibrate for the final -s in "dogs", turning it into a z sound. This type of assimilation is widespread throughout the world’s languages. However, American English pronunciation also fails to assimilate sounds in some places where other languages do. Another type of assimilation occurs when a consonant occurs before a u or o sound. (NB: sometimes the letters u and o represent other sounds, for instance the "uh" sound in "but" or the "ah" sound in "father".) These vowels are pronounced with the lips rounded. In many languages, consonants before these vowels will also be pronounced with the lips rounded. However, in American English pronunciation this is not the case. Set up your lips and tongue to pronounce the word "do". You should notice that your lips are not rounded or pursed. If they are, relax them. One way to practice this pronunciation is to insert another vowel between the d sound and the oo sound in "do". The extra vowel should sound something like the u in "but" or the a in "about". Once you are able to pronounce the d without the lip rounding, get rid of the extra vowel. Working with this advice will help improve your pronunciation. 1) He goes to school. 2) He goes to school? Looking at the sentences, you can see clearly by the punctuation that one is a statement and the other is a question. How do we convey that difference when we are speaking? If you are an experienced speaker of English, you will have noticed something important about what happens to your pronunciation when you wanted to make the question. In both sentences, there was stress on the main words (goes and school). This means that these words were spoken with more emphasis, and the other words (he and to) were not emphasized. The main words were spoken slightly more loudly and longer, and were spoken at a slightly higher pitch than the non-stressed words. In the question, the same words were stressed, but an additional layer of information was added. Experienced English speakers would have raised the pitch of their voices at the end of the question considerably higher than for the statement. That raised pitch indicates to the listener that a question is being asked. In fact, turning a statement into a question by raising pitch conveys even more information. The raised pitch tells the listener that the speaker is surprised or even amazed. (What? He goes to school? I can't believe it). Changes in these typical patterns convey extra information. If a speaker's voice falls when asking a yes/no question, the listener may easily interpret it to mean the speaker is annoyed or frustrated. If a speaker's voice rises at the end of a wh- question, the speaker is indicating to the listener that he or she is surprised by the information, or that the information needs to be repeated because it wasn't heard clearly. Intonation patterns can be confusing for language learners, and it can be difficult to master them. It is important to be aware of them, though, and recognize how they can convey meaning in English. Improving your intonation patterns is a guaranteed way to improve your English pronunciation. One of the features that distinguish American English pronunciation from some other types of English pronunciation is the use of the so-called “tapped” t or d. This English sound is called an alveolar tap (also alveolar flap) by linguists, and corresponds to an r sound in many languages, such as the non-trilled r in Spanish and Italian, or the standard r sound in Arabic or Finnish. The general rule in American English pronunciation for whether a t or d is tapped says that these sounds should be tapped when they come after a stressed syllable, such as in ‘butter’ or ‘lady’. In both of the words, the first syllable is stressed, and so the t or d becomes tapped. Note that because both of these sounds become the same when tapped, it is not always possible to tell whether something is a t or a d if you don’t already know the word. Thus, in standard American English pronunciation, ‘ladder’ and ‘latter’ sound exactly the same, even though in very careful speech one has a d and one has a t; in everyday speech both of these words have a tapped t in the middle. In a word like ‘table’, on the other hand, the t is not tapped because it is in the stressed syllable. This general rule within pronunciation, that t’s and d’s are tapped after a stressed syllable, usually only applies if they come before and after a vowel, as in ‘ladder’, ‘latter’, ‘butter’, and ‘lady’. In a word like ‘antler’ or ‘bandage’ they are not tapped, because they are not between two vowels.